You’ve been around the block and you know the ins and outs of this industry. Why do experienced producers like you come to National Life Group? It’s our advanced market support. While many companies are outsourcing this work, we keep ours in house. With over 180 years of combined experience, we make the sophisticated simple. It’s also our CPA program with over 30 years of experience, and our pioneering “Living Benefits” products. Today, even veteran agents are finding it more and more difficult to gain access to school districts. School districts and employers want trusted agents who will increase the number of educators and employees taking part in a 403(b) or 457(b) plan. They are now empowered in most states to remove vendors and agents who are not increasing participation or who may be violating their rules. Our Certified Program helps producers overcome these obstacles and thrive in today's new marketplace. Our puzzle pieces tell the story that today's life insurance is more about living than dying. 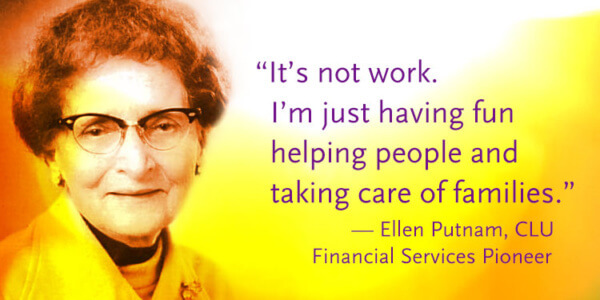 We helped pioneer the concept of “Living Benefits” and the idea that life insurance is about protecting the living. Are you working with small business owners or in other advanced markets? We are one of the few companies with a dedicated advanced sales team that is ready to help you close more complex cases. Are you a relationship builder? With nearly 35 years of experience, our CPA Advantage Program is one of the few programs of its kind in the country. Learning on-the-go? NLGroupU is your online resource to explore and gain in-depth knowledge of the products we offer and the markets they serve. Prefer to learn in person? We offer schools directed at agents at different stages of development. Beyond the sights, these trips create the chemistry and camaraderie that is a key part of the National Life Group culture. Our Diamond Club program is known for literally “rolling out the red carpet” to our premier producers and giving them "white glove" service when they visit us at the home office or attend conferences or schools. Our products are the solutions that help you help others. Our various financial services companies offer a full portfolio of life, annuity, and investment products to help meet a variety of needs for individuals, families, professionals, and business owners. We helped pioneer the concept of “Living Benefits” and the idea that life insurance is about protecting the living. Life Insurance Company of the Southwest, one of our member companies, was one of the first companies in the nation to develop an indexed annuity.